Adorable large hoops with brilliant, clear crystals. Roberta is a charming collection with a brilliant and classic touch of Nordic cool simplicity. 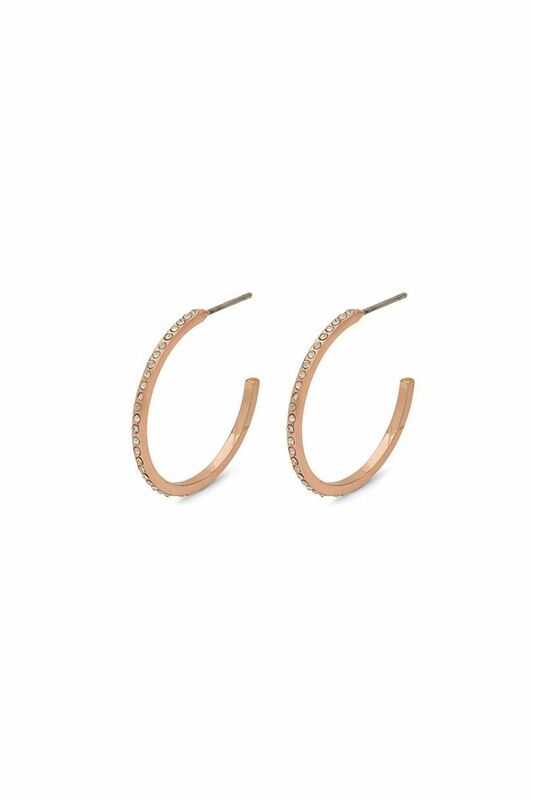 These classic hoops are decorated with beautiful crystals for an exclusive look. Adorable large hoops with brilliant, clear crystals.Roberta is a charming collection with a brilliant and classic touch of Nordic cool simplicity. These classic hoops are decorated with beautiful crystals for an exclusive look. Pilgrim recommend using these self-proclaimed winners to complete the season's casually chic outfit, as well as the ultimate look.